Political ads on television are easy enough to spot: anyone who lives in a battleground state or watches TV in late October can recognize the attack ads and candidate promos that blanket the airwaves, always with a disclaimer. Facebook ads have been much different: Ahead of the 2016 campaign, each user saw a tailored set of advertisements and political ads that often appeared as just another post in the newsfeed. Facebook has changed its rules to make political ads more obvious. New data released by Facebook and collected by researchers at NYU shows that Americans are still seeing plenty of political ads there — at least 2.2 billion times since May. Use the tool below to explore political ads that were targeted toward your state, gender and age group, sorted by the advertisers who reached the most people in the demographic you select. Ad blocking software may affect the performance of this interactive. Some pages that Facebook announced this week had been banned for taking part in "coordinated inauthentic behavior" ahead of the midterm elections did not appear in the Political Ad Archive database. Still, the database shows both the size and the continued murky nature of political advertising on Facebook, even after Facebook started requiring that ads disclose their source of funding. While some ads clearly support political campaigns, others promote a cause and some sell politically charged merchandise — clothing brand American AF has the second-most impressions of all advertisers on the platform. And some of the biggest political groups in the country, like Democratic super PACs Priorities USA Action and Senate Majority PAC, run ads through "community" pages that don't appear political on their surface. "Advertising is a deliberate and strategic behavior seeking to influence voters, and voters have a right to know who is influencing them," said Young Mie Kim, a professor at the University of Wisconsin-Madison who has studied political advertising on Facebook. "In the 21st century digital media environment, it's incredibly difficult for voters to understand who is targeting them." The new data comes from Facebook's Political Ad Archive tool, a transparency initiative the social media giant began after receiving bipartisan criticism over the spread of misinformation on its platform in 2016. The tool is one of several the company created to better regulate its own platform — social media is largely unregulated in the U.S., though lawmakers are considering ways to step in. Trump’s Make America Great Again Committee was the top overall spender in the period, spending between $344,000 and $2.3 million. Also included in the top 10 are advocacy groups like Planned Parenthood, companies like ExxonMobil and politicians like Rep. Beto O’Rourke, D-Texas, who is running to replace Republican Ted Cruz in the U.S. Senate, and New York Gov. Andrew Cuomo. Trump's 2016 presidential campaign was one of the first political campaigns to use Facebook advertising on such a large scale, spending tens of millions of dollars on narrowly targeted ads. Sometimes each ad would have thousands of variants, with subtle tweaks in color or wording to test what would perform best. After the election, Facebook executives internally praised the Trump campaign as an "innovator" in advertising on the platform, according to BuzzFeed News. But this year, Trump-affiliated firm Cambridge Analytica was revealed to have obtained personal data of 87 million Facebook users through a personality quiz taken by only a few hundred thousand people. Authorities are investigating whether Cambridge Analytica used that data to influence the campaign. Amid the fallout, Facebook CEO Mark Zuckerberg was called before Congress to testify about how his platform was used in 2016 and to explain what it would do to ensure foreign actors couldn't influence future elections. Facebook was also hit with fines in the United Kingdom and could face more in the U.S. for allowing Cambridge Analytica to collect data without users permission, while the data firm eventually filed for bankruptcy amid investigators' scrutiny. Cambridge Analytica wasn’t the only group to be accused of using Facebook unethically during the election. In late 2017, the House Intelligence Committee revealed that Russian intelligence services had purchased thousands of Facebook ads in support of the Trump campaign, many of which promoted false news stories or aimed to suppress voter turnout among people who were likely to support Hillary Clinton. Russians created Facebook groups with names like "Secured Borders," "Blacktivist" and "Heart of Texas," according to an indictment filed in February by special counsel Robert Mueller. And on July 31, the company announced that it had already discovered suspicious activity from bad actors who were running pages to try to influence voters ahead of the 2018 elections. Thirty-two pages and accounts with tens of thousands of likes were taken down. They had names like "Black Elevation," "Mindful Being," and "Resisters" and shared a variety of content to make their pages harder to identify than in 2016. Nevertheless, the Trump campaign's Facebook strategy was effective, so other campaigns are now trying to learn from it. A New York Times report on an earlier version of the NYU dataset cited political consultants who said Republicans generally spent more on digital ads than Democrats did, but noted that trend may be changing — some prominent Democrats appear high in the lists of top spenders. Boston University professor Tobe Berkovitz, a former political advertising consultant, told NBC that the Trump campaign's micro-targeting strategy has become an important tool for campaigns because traditional, unifying messages aren't as effective on social media. "Very few people are persuaded by social media because it all comes from a highly partisan position," he said in an email. "It's better to reinforce existing attitudes or target people with weakly held positions and political affiliations." 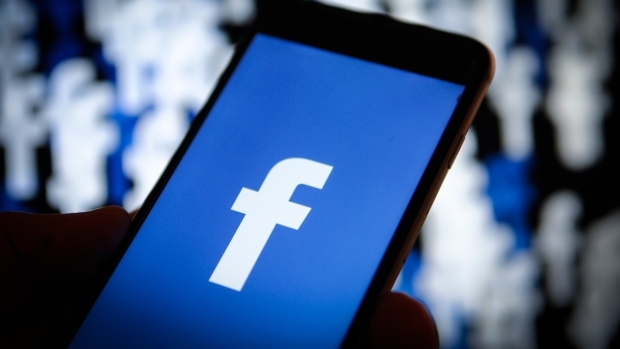 This spring, Facebook announced a number of new policies, among them creating the Political Ad Archive, to protect the platform from misuse of data, misinformation and foreign interference. In a blog post explaining some of the new rules, Facebook said it would apply extra scrutiny and disclosure rules for ads that have "the goal of either influencing public debate, promoting a ballot measure or electing a candidate." The policies aim to prevent malicious activity from interfering in the 2018 midterm elections. This brings the platform more in line with rules for broadcast political ads, which require that advertisements state the candidate or group that paid for them. Yet there are no legal regulations on political advertising on the internet, which means it's up to companies to make rules it as they see fit. Many of the advertisers whose activity Facebook has flagged as political are similar: generic-looking news or community pages that share local stories, memes and short viral videos. An example of a Facebook ad from the T-shirt vendor "American AF." But one top advertiser in many locations is shirt vendor American AF, which offers apparel with phrases like "Kill a commie for mommy," "Guns don't kill people, I kill people" and "Shut up Hillary." Its products are broadly supportive of Trump — shirts shows him riding a T-Rex or pumping iron — while all 15 products on the website that appeared in a recent search for "Hillary Clinton" were critical of her, including one that alludes to a vulgar word for women. The brand has a large national presence on Facebook with more than 1 million likes and appears in the database as a top advertiser for men in age groups from 18 to 44 for most states across the country. In an email, brand founder Shawn Wylde told NBC his page spent approximately $900,000 in Facebook ads since May. He said the ads do "remarkably well," although he disputes why they should be included in the political ads database. "We don't feel the majority of our patriotic products are political in nature," Wylde said in an email. "American AF is a humor page where we make fun of both parties; however, since we find President Trump so funny, we currently offer more products based on him." Yet, American AF has had run-ins with Facebook's ad moderators, Wylde said: "We have had ad representatives revoked, patriotic ads and posts removed, profile accounts banned and were denied the blue checkmark verification badge. I think the page gets punished because some Facebook employees think it’s conservative." Devon Kearns, a Facebook spokeswoman, said the company regularly bans fake accounts but will allow anyone who is approved by its verification process to post political ads. Facebook then evaluates each ad on a case-by-case basis, taking down ones that violate the rules — including an ad from American AF that contained a slur against Native Americans, which was removed when NBC brought the page to Facebook’s attention. Many of these rules are recent, and Facebook is still working to balance free speech and regulations for ads on its platform. Berkovitz, the former political advertising consultant now with Boston University, explained that political advertising on the internet was once a free-for-all and the rules are still evolving today. "There were basically no rules until Cambridge Analytica," he said. "Now there's an effort to create guidelines and procedures. ... I think increased transparency on Facebook, Twitter and YouTube is a trend that will continue." The election advertising researchers who spoke to NBC for this article said Facebook's disclosure requirements aren't stringent enough. Facebook requires that groups put their legal name in the "paid for" statement, which is sometimes vague: the database includes sponsors like "One Nation" and "American Action Network" which don’t provide much more context for the average viewer. "Now we have one more layer of information," said Kim, who said the change is a step in the right direction, but she would prefer more. "We really need to look beyond not just the face of the ad but the pages and the sponsors – and the payer who could even be different." It isn't always clear from looking at a page that it is being used for political purposes. That's the case for "Hoosier Country," a top advertiser in Indiana that calls itself "a community for anyone who wants to show their Hoosier pride" and has run attacks against Republican U.S. Senate candidate Mike Braun. An example of an ad from "Hoosier Country," which was paid for by Priorities USA, a Democratic Super PAC. The page appears at the top of the list of advertisers for most demographics in Indiana, and it spent between $78,000 and $384,000 in the state, according to the Facebook data. All of those ads are funded by the Democratic super PACs Priorities USA Action and Senate Majority PAC, a fact that Facebook now points out on the advertisements. "Campaigns and political organizations have long created branded websites that share specific information with voters. These are locally focused pages for sharing articles and information from reputable news outlets and clearly labeled political sites that are of interest to voters in a specific region," Priorities USA Action spokesman Josh Schwerin said in an email. As of Aug. 1, the Facebook page's "about" section did not mention its political aim or backers. Before May 24, when the political advertising rules went into effect, it would have been much harder to know these ads were funded by two of the largest super PACs in the country. And researchers say there are thousands of smaller "dark money" groups across the country who quietly spend on advertising campaigns. Kim and her team of University of Wisconsin-Madison researchers looked at political ads on Facebook in 2016 and found that it was usually difficult to determine who was behind them. "More than half the groups we examined were unidentifiable," she said, noting that if academic researchers had trouble identifying advertisers, voters would have an even harder time. Her team found that in the six weeks before Election Day in 2016, some voters saw about 35 ads a day. "It's unfair and unreasonable to expect voters to figure out who are behind them," she said. Facebook now says it's planning ahead and doing all it can to limit the misuse of political advertising on the platform for the upcoming midterm elections in November. In an interview with Recode's Kara Swisher this month, Zuckerberg admitted that the company was unprepared in 2016. "This was a new thing," he said. "I think we understand that we were slow to it and need to do a better job ... defending against nation-states, which is not really a top-line thing that was a major focus before." Now that Facebook has close to double the number of users as the population of China, this is the new reality the company will have to face. In the interview, Zuckerberg reiterated his commitment to doing better. "A lot of people are using [Facebook] for a lot of good," he said, "but we also have a responsibility to mitigate the darker things that people are gonna try to do."